The Côte Vermeille (vermillion coast) is a 13 mile long stretch of beaches, small bays, creeks, and coves nested along the coastline of southern France on the border of Catalunya. This bequiling land is where the Massif des Albères, the eastern extremity of the Pyrenees, tumbles into the blue waters of the Mediterranean. The massif’s red rock gives the region its name, and the schist composition of the rock is one of the elements that endow the region’s wines with their earthy, mineral frame, forcing the vine roots deep into the earth to seek moisture and nutrients. The seaside towns of Collioure and Banyuls-sur-Mer are situated within the small footprint of the Côte Vermeille. Both are centers of the region’s wine production with terraced vineyards carved into the foothills rising up behind them. This is no easy place to be a wine producer. Most of the vineyards are cut into steep slopes and are organized by stone walls and drainage canals that surround them and help to resist erosion. 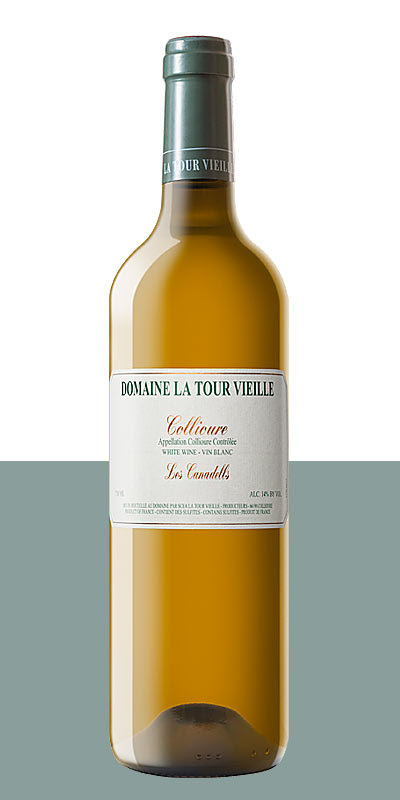 At Domaine La Tour Vieille, tending and harvesting the vines is done by hand both as a tradition and by necessity. Another major factor in the Côte Vermeille is La Tramontagne, a cold, dry wind that blows in from the northwest, accelerating as it funnels between the Pyrenees and the Massif Central. This relentless wind not only ensures naturally low yields, but also keeps the grapes free of mildew. Because of the dry, sunny summers, most of the domaine’s vines are pruned in a “gobelet” shape that helps provide shade to the fruit. 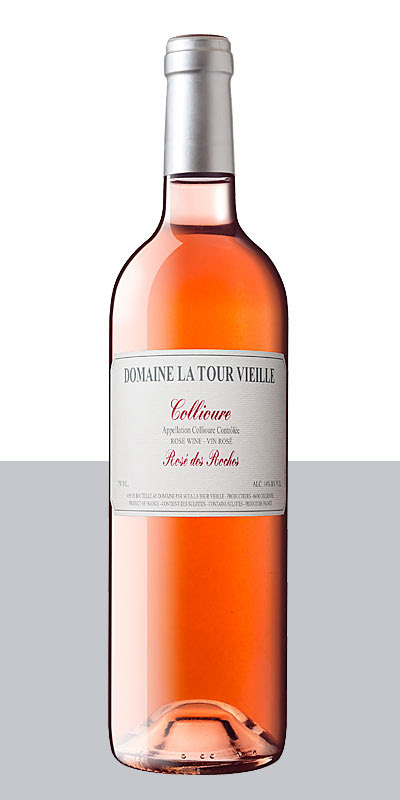 With all these native challenges, exceptional producers like Domaine La Tour Vieille both persist and excel at producing wines that speak of place. 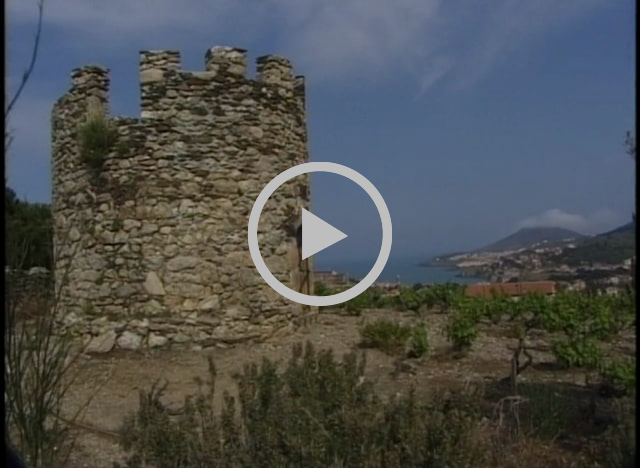 The estate was founded in 1982 in Collioure by Vincent Cantié. Vincent came from a family of anchovy merchants and during the off-season his father had the boathands work to terrace the family vineyards, but winemaking was a secondary pursuit. That is until Vincent decided to devote his life to the study and production of wine. 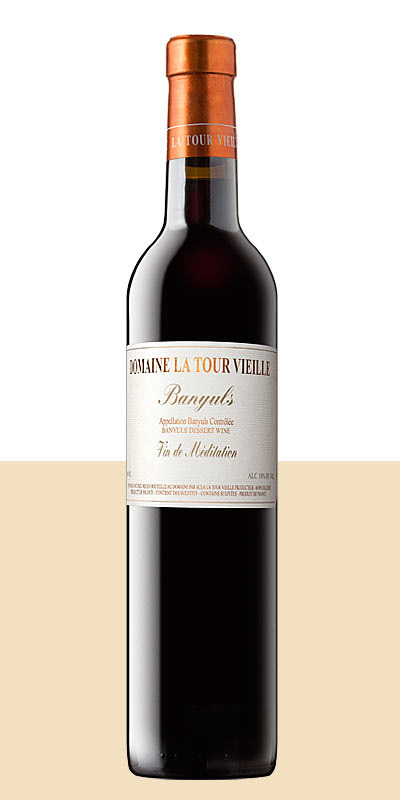 A few years later, Christine Campadieu, herself from a winemaking family in Banyuls, joined him on the adventure. Today, the couple work alongside a small team to elaborate some of the region’s premier wines. All wines are fermented traditionally with wild yeasts. Production is small and focused on a range of traditional wine, including dry “rancio” wines – a nod to the heritage of Catalan gastronomy, culture, and way of life in the Côte Vermeille. Open a bottle of Domaine La Tour Vieille and watch this well-made 55 minute documentary that chronicles a growing season with the couple. Although filmed over the 1999 vintage, not much has changed at the winery in regards to how they approach the challenges of winemaking in a beautiful but savage land. Discount prices based on the purchase of a 6-pack (mix-and-match). “Les Canadells” is a blend of 40% Grenache Gris, 30% Grenache Blanc,10% Macabeu, 10% Roussanne, and 10% Vermentino from vines 20 to 60 years old. Fermentation is achieved in stainless steel tank for 70% of the blend. The other 30% ferments in oak at low temperature and with regular stirring of the lees. Aging takes place for roughly six months in tank or barrel. Heady aromatics of honey and exotic citrus introduce a sip full of warmth and ripeness balanced by a lengthy minerality. Only 660 cases are produced. “Puig Oriol” is composed of a blend of 70% Syrah, 25% Grenache Noir, and 5% Carignan. The vines range from 25 to 50 years old. A long five weeks of maceration precedes 10 to 18 months of aging before bottling. Ripe berry fruit and Mediterranean herbs are followed by sun-soaked earth on the nose. The sunniness follows on the palate with loads of ripe fruit held in check by that lengthy minerality again. It’s a feat of balance that is not easily achieved in such a climate as Collioure. Only 350 cases are produced. “Rimage Mise Tardive” is 100% Grenache Noir from vines over 45 years old. This is a classic vin doux naturel. The wine is fortified with a neutral spirit to stop the yeast before fermentation is complete and all sugars have been converted into alcohol. The wine retains some naturally occurring sugar, perceived as sweetness on the palate. This particular cuvée sees extended aging in oak foudre for 15 months prior to bottling. A similar aromatic vibe as the “Puig Oriol” with a touch of fruit leather and cherry candy. The residual sugar gives the wine a sense of weight but does not make it syrupy. A glassful cries out for a bit of quality chocolate. Only 410 cases are produced. 40% Syrah, 30% Grenache Noir, and 30% Grenache Gris from vines 20 to 60 years old. The Grenache undergoes a direct press after being cooled. The Syrah sees a short maceration of a half day at low temperature before pressing to extract body and colour. Fermentation and aging are achieved in tank to maintain freshness and fruit aromas. An easy drinking wine with just enough complexity to keep it interesting. Only 580 cases are produced. 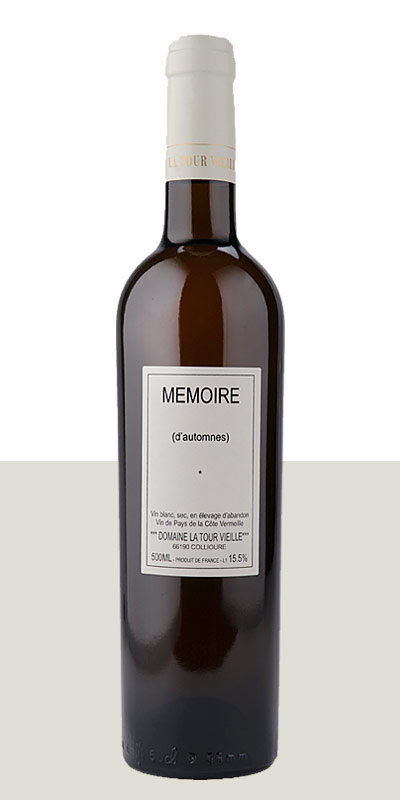 Mémoire d’automnes is an oxidative wine. 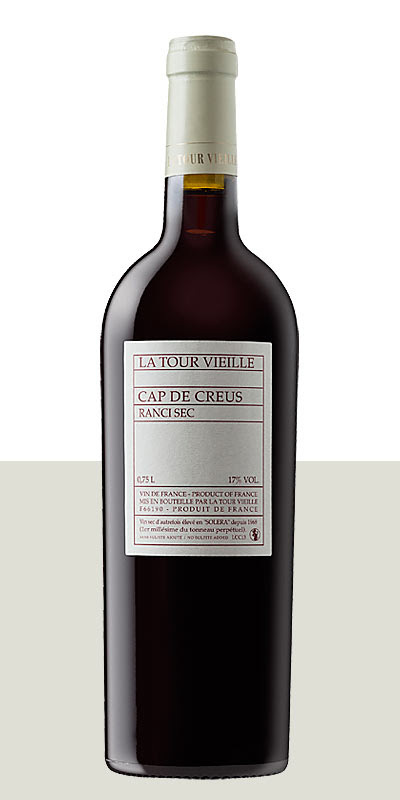 A small amount of must is taken from the white Banyuls and alcoholic fermentation is allowed to complete. The wine is then put aside for élevage d’abandon “abandonment aging” in half-filled oak barrels. The large contact area between air and wine allows each barrel to develop its own flor. This slow oxidation lasts five or six years during which the wine develops a complex bouquet similar to the wines of Jerez. 500ml bottle. 90% Grenache Noir and 10% Carignan. The wine is fermented dry and then stored in half-filled barrels that induce oxidation. After many years of aging in barrels the wine is transferred to large oak foudre which is also only half-full. The foudre is considered a “perpetual barrel” and the wine removed during bottling is limited to what can be replaced from another barrel. It acquires a “rancio” character notable for its walnut aromatics. Cap de Creus is named after the cape jutting out into the Mediterranean sea just below the Côte Vermeille near the Catalunyan town of Cadaqués. A special cuvée made in homage to the winemakers’ grandparents “who knew how to create wines in perfect harmony with their cultural heritage.” The wine is produced from many vintages of old vine Grenache Noir and Carignan that has been matured by the solera method with the originating vintage going all the way back to 1952. The process produces a wine of exceptional richness with aromas of dry fruits, wax, and nuts. 500ml bottle. Fattoria di Fèlsina has long been one of the great names in Tuscany. Since its first publication in 1987, Gambero Rosso, Italy’s acclaimed wine rating guide, has awarded the estate its coveted Tre Bicchieri (Three Glasses) award well over a dozen times – mainly for its most representative expression of Sangiovese, the cuvée “Fontalloro.” For those of you keeping score, Robert Parker’s Wine Advocate has given the 2013 vintage “Fontalloro” a whopping 96 point rating. The estate is situated in the hills northeast of Siena in the commune of Castelnuovo Berardenga, on the southern tip of the Chianti Classico DOCG production region, just about 15 miles due north of Montalcino, between the last spurs of the Chianti hills and the beginning of the Ombrone valley. Fèlsina boasts a variety of climates, landscapes, and terrains. The “Fontalloro” fruit (100% Sangiovese) comes from vineyards straddling the border between the Chianti Classico and the Chianti Colli Senesi appellations. The vineyards lying within the Chianti Classico appellation are in the highest area of Fèlsina with stony and calcareous soils, while those in the Chianti Colli Senesi are lower down and comprised of soils that are sandy, loamy, and silty with pebbles and marine sediments. Viticulture is practicing biodynamic. In the cellars, the must is fermented and macerated in stainless steel for 16-20 days. The wine then goes into new and one-year-old French oak barrels for 18-22 months of maturation and ages in bottles for another 8-12 months before release. The result is a gorgeous taste of Tuscany with a heady nose of cherry liqueur, licorice, cedar, and spice all nestled into the center of a summer flower cart. A sip begins with rich and concentrated red fruit that moves into an ample, earthy mid palate and uncoils with a slow, mineral finish. While it has many years of development ahead in a proper cellar, it is drinking so well right now it will be hard to keep your hands off. Pair a bottle with the classic Bistecca alla Fiorentina and don’t skimp on the rosemary. The history of Fattoria di Fèlsina goes back to the 1960s when Domenico Poggiali bought the estate at a time when Italian viticulture was struggling. 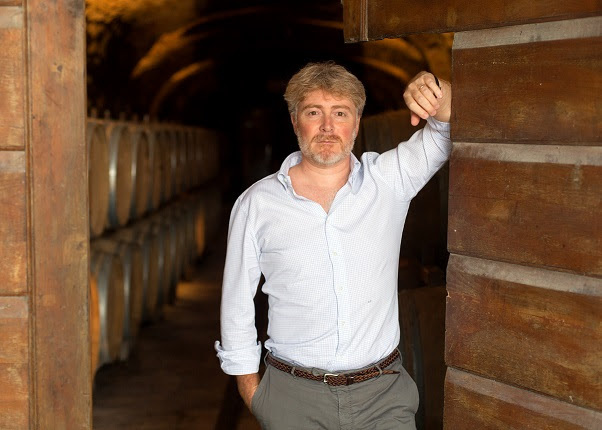 Today, third-generation winemaker Giovanni Poggiali is the latest member of the family to continue the tradition of quality Sangiovese-based wines. Through the years the family has built the estate into what now consists of nearly 1,500 acres of which less than 16% is planted with vines. A true farm, the estate raises goats, hens, quail, ducks, and guinea fowl while boasting olive groves for oil and a row garden for vegetables. Despite all the production at Fèlsina, the majority of the acreage remains as woodlands. It is this blend of holistic land management, uncompromising attitude toward producing quality wines, and ideal microclimate that allows Fèlsina to reveal the essence of the Sangiovese grape and the Chianti terroir. The cuvée “Fontalloro” is truly one of the finest examples of ageworthy and complex Sangiovese in all of Italy. 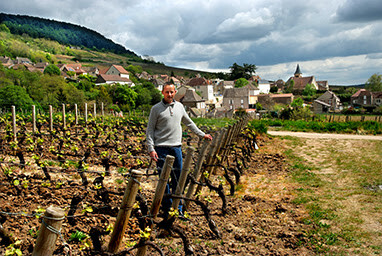 Didier Regnaudot’s very old Pinot Noir vines grow out of the steep hillsides on the southernmost edge of the Côte de Beaune. One of the top producers in Maranges, Didier is the fourth generation to manage his family’s property in the town of Dézize-les-Maranges where he learned precise vineyard management and winemaking from his father, Jean-Claude. The region of Maranges forms a link between the southern end of Côte-d’Or and the northernmost vineyards of Côte Chalonnaise. The appellation covers the three villages of Cheilly-lès-Maranges, Dezize-lès-Maranges, and Sampigny-lès-Maranges, and abuts its neighboring appellation of Santenay, with which it shares some well-regarded Premiers Crus. Though the slopes of Maranges are slightly different in orientation to those of the rest of the Côte de Beaune, their nature and origins are geologically alike. Ranging in altitude from 780 to 1,300 feet, most vineyards have a South/South-westerly exposure. Granted appellation status a mere 30 years ago, it is clear that the region is only beginning to garner the reputation it deserves for its robust red wines. “La Fussière” comes from a 2.5 acre Premier Cru vineyard with vines planted in 1930, 1947, 1955, 1962, and 1987. The soil consists of Jurassic substrate, mainly black/grey marl. Grapes are hand harvested and sorted in the vineyard. Fermentation takes place in concrete tanks and the wine is aged in oak barrels (40% new oak, 60% 1 or 2 years old) for one year before being blended into stainless steel tanks and aged for another 3 months. The wine is then bottled unfined and unfiltered. Aromas of cherries, cocoa, and cinnamon precede a mouthful of ripe fruit followed by a long and wiry finish. It’s a firm and dark red Burgundy, with enough maturity to offer a generous drink right now, and enough structure to lay down for a few more years. Pair a bottle with almost any protein that is served with a robust mushroom sauce. Travel south and west down the coast of Spain from Barcelona past golden, powdery sand beaches before heading inland to the Massís del Garraf – a mountain range characterized by limestone outcrops and calcerous soils from which swells an impenetrable scrub of holly oak, strawberry tree, rosemary, gorse, butcher’s broom and dwarf fan palm. As the Massís del Garraf resolves into the gentle slopes of the Penedès Plain you’ve entered ancient wine country. The most inland and mountainous subzone of the Spanish appellation of Penedès is appropriately named the Alt Penedès. This Mediterranean region is characterised by relatively low yield and high quality. It is where passionate wife-and-husband winemakers Irene Alemany and Laurent Corrio are producing a range of world-class wines. Their true “garage” winery is located in the center of Vilafranca del Penedès where they vinify by variety and batch. 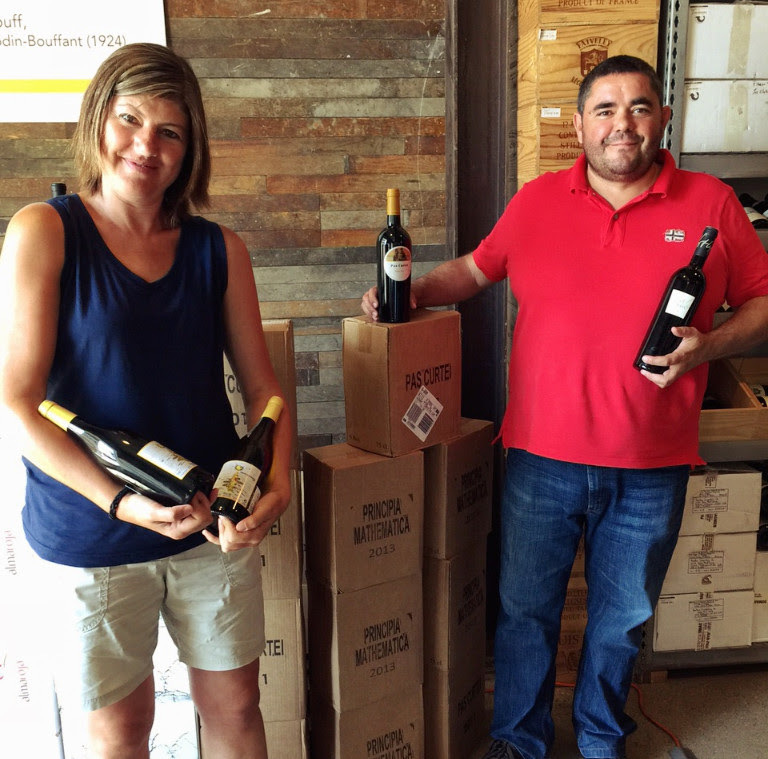 The couple, who met at the University of Burgundy in Dijon, apprenticed in vineyards in France and California before settling into the Penedès region in 1999 to start their own operation using Irene’s family vines. Today, the two are recognized as being among the top winemakers in all of Spain. The 2017 vintage of “Principia Mathematica” is produced from 100% Xarel·lo (shah-REHL-loh), a grape indigenous to Penedès that most sparkling wine drinkers will recognize as the principal variety that makes up Cava. 55 year old Xarel·lo vines from plots in Subirats and Garraf see fermentation in new French oak barrels of 228 and 700 liters. A third of the wine is then aged for nine months in stainless steel on the yeast (sur lie) with the remaining two thirds aged in oak barrels with occasional stirring (battonage). The result is a wine of freshness and depth that fully expresses a Burgundian style of winemaking alongside high coastal Mediterranean terroir. Dried stone fruits and subtle floral aromatics exude from crisp and balanced juice finished by hints of citrus and hazelnuts. The name and label art for the cuvée “Principia Mathematica” are taken from one of Irene and Laurent’s favorite albums by Àlex Torío, a Catalunyan singer-songwriter, theoretical physicist, and mathematics professor. The album title refers to the work “Philosophiae Naturalis Principia Mathematica” published by Isaac Newton in 1687 and considered one of the most important works in the history of science. A bold wine, “Pas Curtei” is a blend of 60% Merlot, 20% Carinyena, and 20% Cabernet Sauvignon, aged for 14 months in a mixture of one, two, and three-year old French oak barrels. There are many interpretations for the term bold: big ripe fruit or crunchy young tannins to name just two. In any case, bold should not mean unbalanced. A wine that is bold should have the shoulders to pair with the burliest of cheeses and the most marbled hunks of red meat but it should not be cumbersome or tiring to your palate. “Pas Curtei” is bold and balanced. 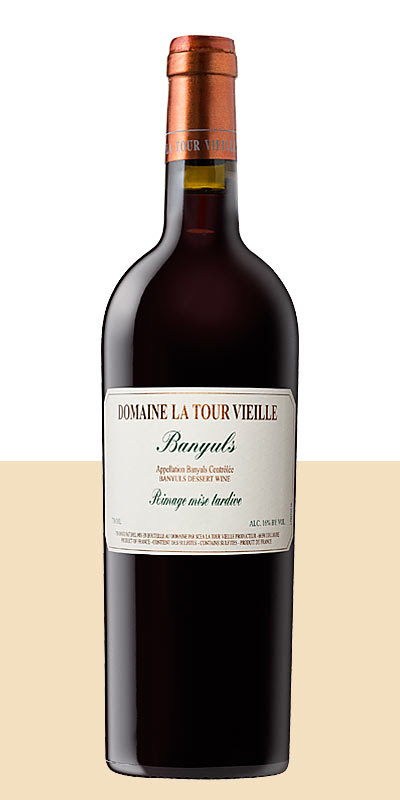 In a glass the lush aromatics of the herbal maquis shrubland, licorice, cassis, and spicy cedar precede the wine’s deep structure and long finish. 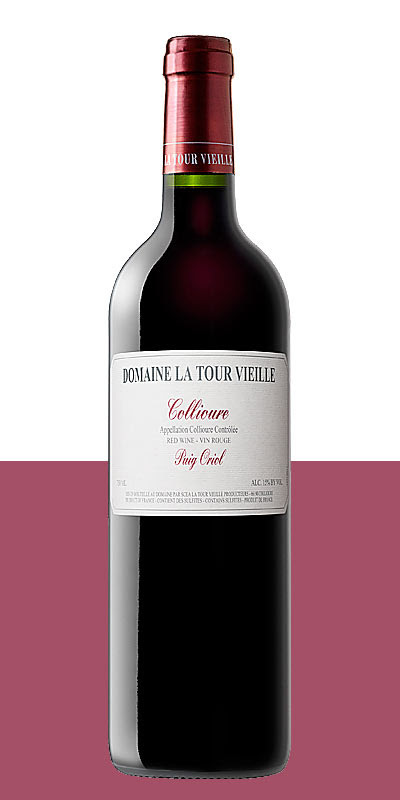 Full of sunny, ripe red and black fruits, its power and sumptuous body are balanced by a vein of acidity. One of the most obvious ways to find excellent value is to mine lower-end bottlings from producers that have a solid reputation for making some of the world’s greatest wines. Jacques Thienpont‘s tiny estate of Le Pin produces one of the most sought after wines today. It is in such high demand that even current vintages can fetch upwards of $5,000 per bottle. While Jacques Thienpont’s newly acquired Castillon property is no Le Pin, you can expect that he is just as dedicated to elaborating the best possible wine the terroir is capable of producing. It was only a few years ago that Jacques and his sister, Anne Thienpont-De Raeymaeker, purchased the 25 acre Castillon estate of Château Goubau. It is situated at about 300 feet in elevation at the end of the Saint Philippe d’Aiguilhe plateau that runs eastwards from Saint-Émilion and is the highest point in the region. 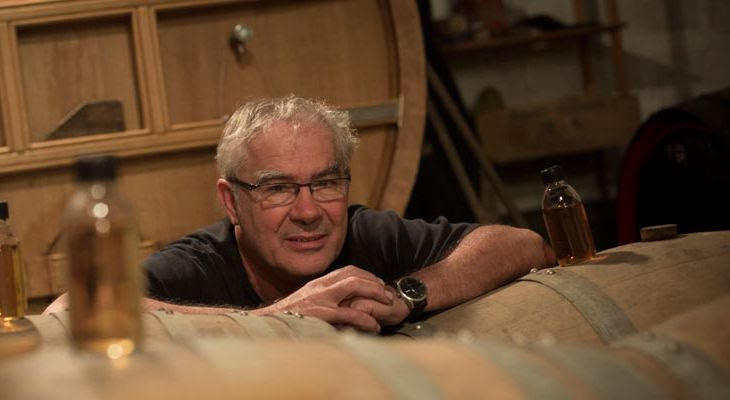 Given his affection for trees – Jacques’ other wineries are Le Pin (pine) and L’If (yew) – the Château Goubau was renamed L’Hêtre (beech tree) and immediately converted to organic cultivation. Jacques’ nephew, Maxime Thienpont, was tapped to manage the estate. The vineyards enjoy good southeasterly exposure and a continuous gentle breeze. The soil types are mixed, with the parcels on the plateau being limestone, while the slopes are a mixture of clay, limestone, and chalk. 2016 L’Hêtre is the first release of the property. The blend is 95% Merlot and 5% Cabernet Franc from vines with an average age of 40 years. Vinification is done in oak and concrete vats with temperature control and the wine is aged for 15 months in oak barrels (50% new, 50% one-year). The result is a wine that is fresh and ripe, expressing lovely blackcurrant fruit and smoky spice. A sip is both rich and firm. It’s a downright steal at half of one percent the cost of Le Pin. La Raison d’Hêtre is produced from vines around 20 years of age on the lower slopes of the plateau. The blend is the same as the first wine at 95% Merlot and 5% Cabernet Franc. Vinification takes place in temperature controlled concrete vats and the wine is aged in oak barrels (50% one-year, 50% two-year). Raison d’Hêtre is lighter in body, as you would expect of a second wine. The fruit leans a little more red and bright, suggesting this wine might be a perfect partner to pizza and general merrymaking — its raison d’être, if you will.